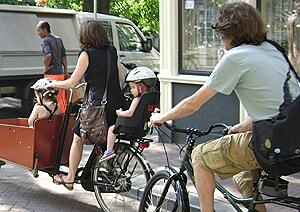 More people would cycle if they didn’t have to wear a helmet, the research finds. Researchers involved in ‘The possible effect on frequency of cycling if mandatory bicycle helmet legislation was repealed in Sydney, Australia: a cross sectional survey‘ interviewed 600 Sydney adults to identify preferences for wearing bicycle helmets. “Public bicycle share schemes around the world where helmets are not required to be worn have shown how safe cycling really is,” says Professor Rissel.